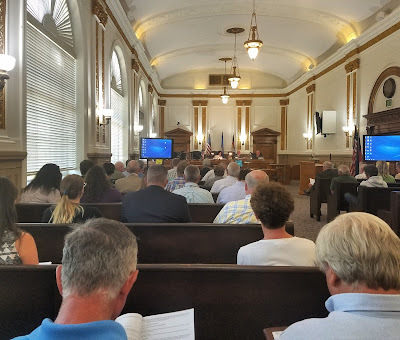 The Mesa County Commissioners approved Innovative Textiles Inc., a local leading manufacturing company that makes high-strength, low-diameter fishing lines, for the Business Personal Property Tax (BPPT) incentive program, which is designed to spur economic growth by creating a tax-friendly environment for new and existing businesses that qualify under state law. The locally-based manufacturing company employs over 200 employees, and has recently invested over $3.4 million in new equipment within their business and added four new hires as a result of the expansion. The provisions of C.R.S. 30-11-123 authorizes counties to reimburse a company up to 100 percent of the county's share of BPPT revenue on newly-acquired equipment (not replacement) for up to a decade. The Grand Junction Chamber of Commerce processed the expanding business’ applications to ensure Innovative Textiles met the requirements outlined by C.R.S. 39-30-105(7)(c)(III)(A) before recommending that the Board of Mesa County Commissioners approve the tax incentive payments agreements. The tax incentive program is a means to stimulate investment and economic development in Mesa County without affecting the current tax base.